By Emily Leaman·	 7/17/2014, 1:15 p.m.
A few weeks back, as my hubby and I were headed down the Shore, we made our ritual pitstop at a Wawa in the middle of New Jersey (That one at the end of 55? Where 47 and 347 split? Anyone?) for a few pick-me-up road trip snacks. Chris scurried off to get his haul while I stood in the middle of the store looking around blankly. It occurred to me, not for the first time: What in the world can I eat here that won’t leave me with heaps of guilt afterwards? “I need to do a post on this,” I said, actually out loud, to no one in particular. And so here we are, two weeks later, with the completed post in question. 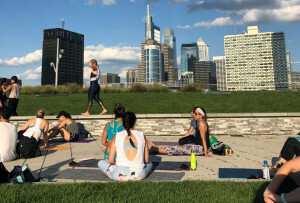 It came together thusly: I called my pal Jessica Procini, a Philly-based health coach whom you may have met at Be Well Philly Boot Camp. She was the one who wrote that awesome What to Get in Trader Joe’s Frozen Food Aisle post earlier this year, so I knew she’d be up for another food-shopping project. Last Friday, she and I trotted off to the 17th and Arch Street Wawa location to see what we could find. Exactly what I wanted to hear! For the next hour, she scoured the cold cases, food aisles and deli counter to put together snack options that are good for the road and won’t ruin your bathing suit bod, either. 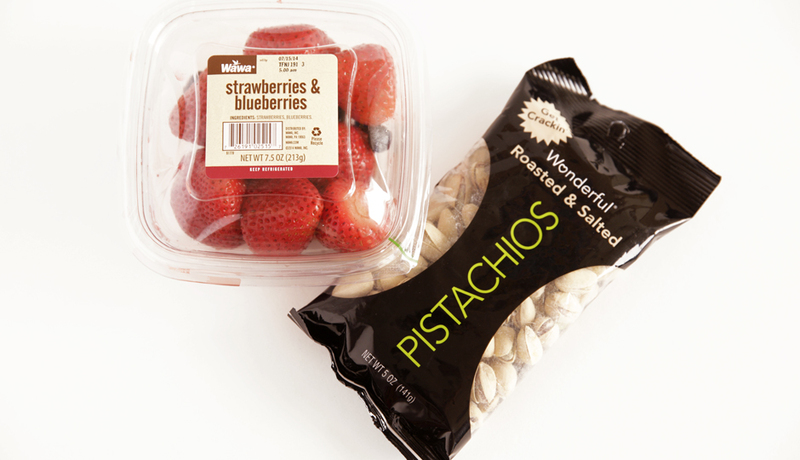 Below, Jessica’s picks for the best healthy road-trip snacks and drinks at Wawa. 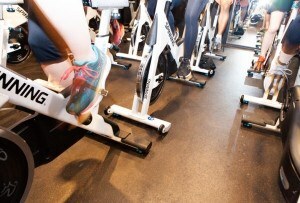 You're getting carbs and some protein here. Jessica says to opt for the nuts with shells because it cuts down on the amount of sodium you'll be eating (since most of the salt ends up on the outside of the shell, which you discard). Two handfuls of pistachios is a perfectly reasonable portion. 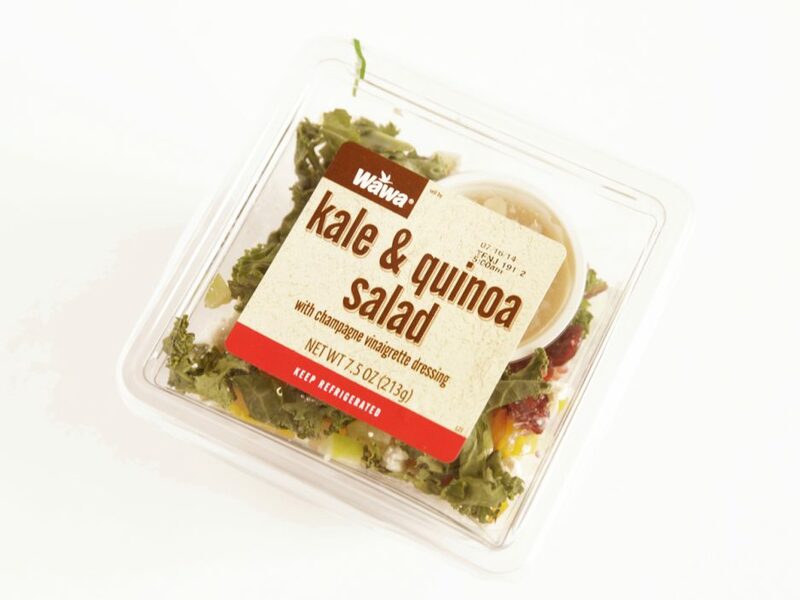 Did you know Wawa makes a kale salad? We didn't, either. Best news of all: It's actually delicious and filling. Wawa has a huge selection of protein and energy bars, with things like Clif Bars and PowerBars vying for your attention. 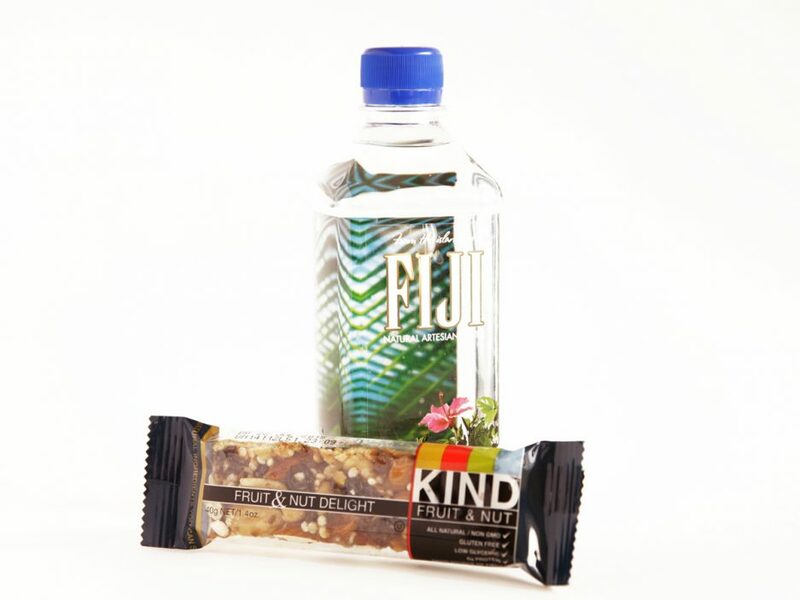 Stick with a KIND bar, Jessica says, which includes whole ingredients you can pronounce. Pair it with water to cut the sweetness and keep you hydrated. If you're jonesing for a candy bar, try a handful of these puppies instead. 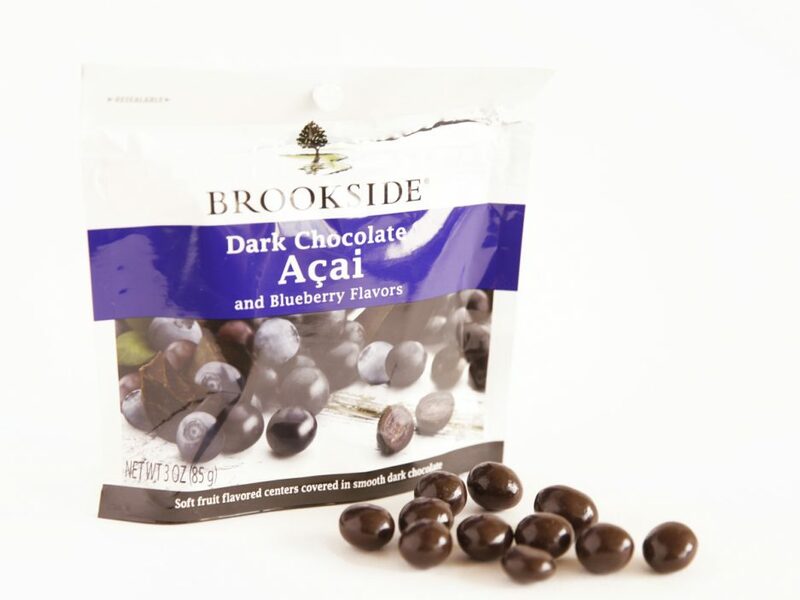 No, they aren't actual acai berries (look at the package closely and it says acai flavors), but the nutrition stats are better than a Snickers bar: 170 calories per 16-piece serving versus 250 in a Snickers. Plus, unlike a candy bar, these come with built-in portion control and shareability. This is one of those in-a-pinch examples: Of course Quaker oats aren't as good as the steel cut oats you make at home, but, um, you're not at home. 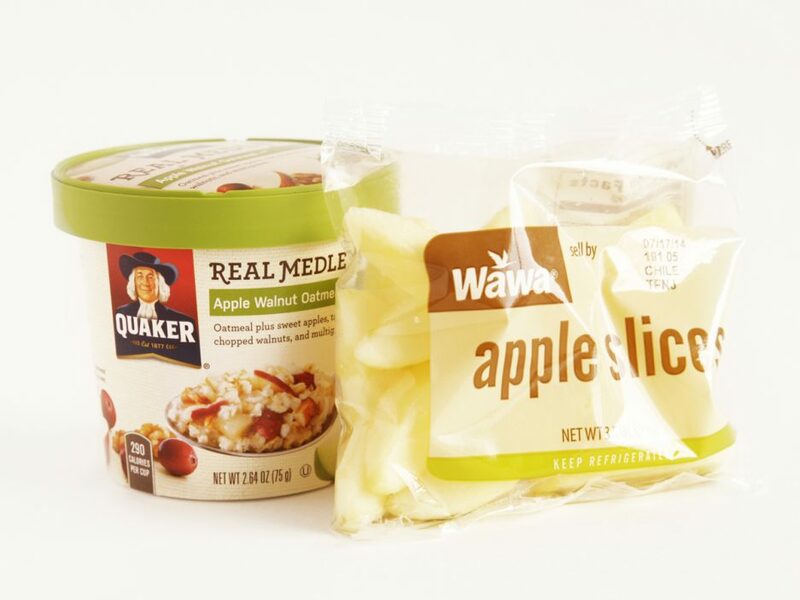 Grab a container, fill it with hot water from the cappuccino dispenser, and pair it with some apple slices for a 300-ish calorie breakfast that will fill you up. No, hoagies aren't the only things you can order from the computer screens. 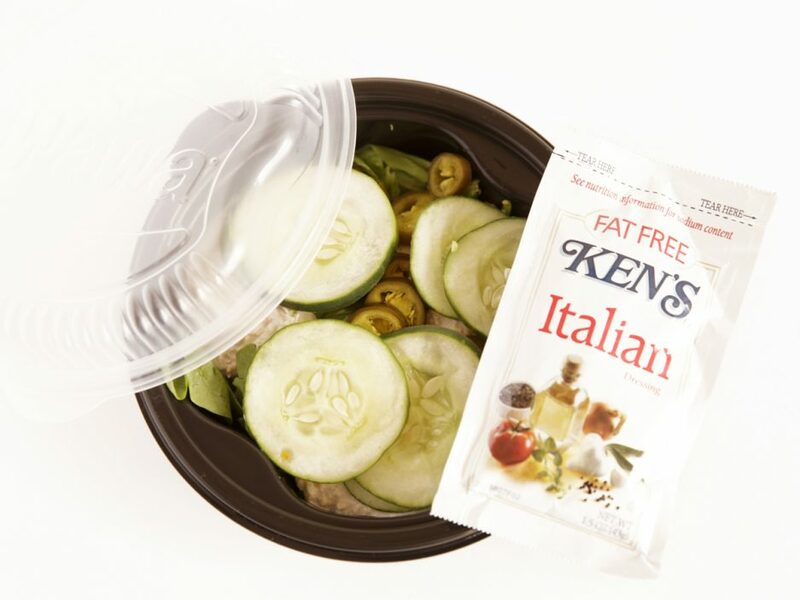 Wawa now has salad bowls, which give you the hoagie flavor without the carbs and salt of the rolls. Jessica likes spinach, tuna salad, jalapenos, and cucumbers. Pair it with half a packet of fat-free Italian dressing. Go for the plainest (i.e. non-roasted, non-candied) trail mix you can find; the others are loaded with salt, which can cause you to bloat. 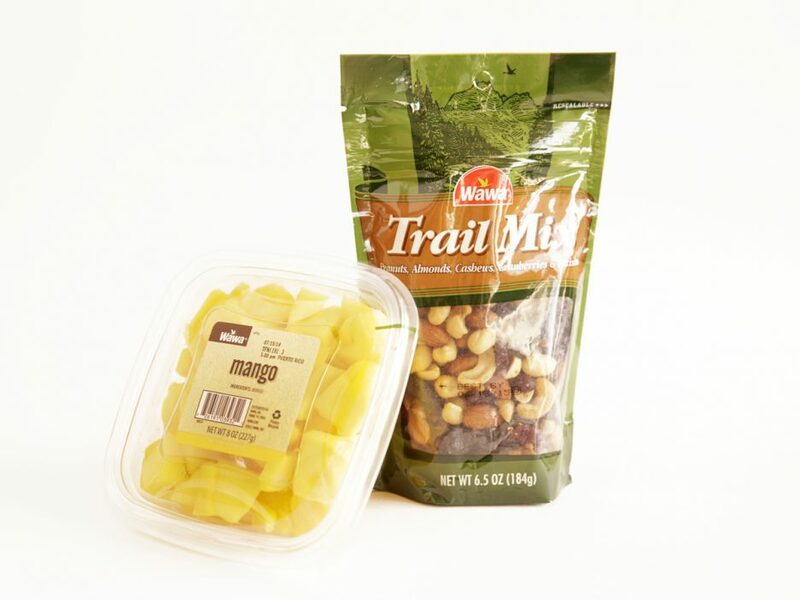 Stick to two handfuls of the trail mix and half a carton of the mangoes for a balanced snack. 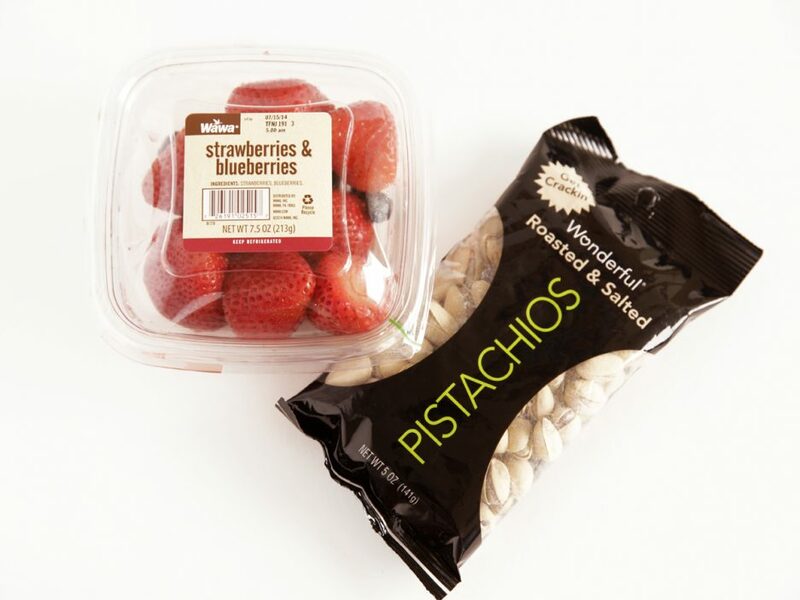 You'll get good doses of fiber and protein from these snacks. 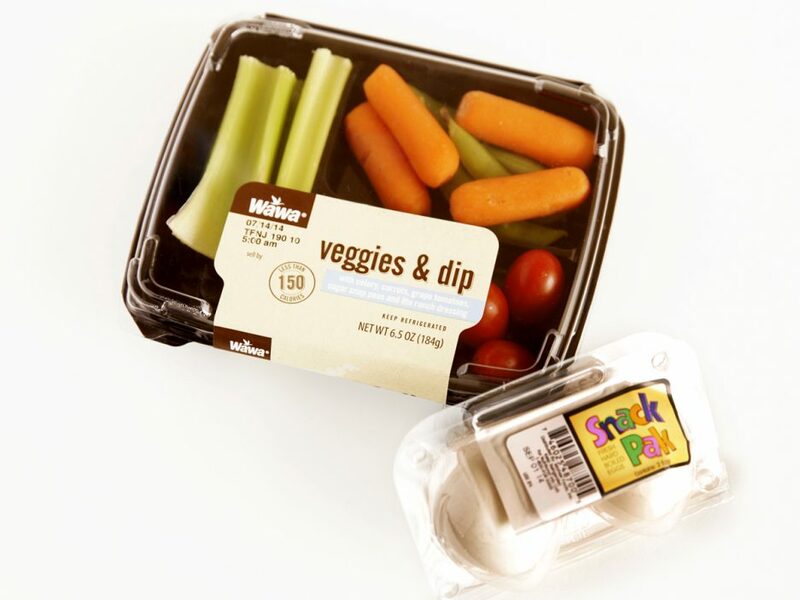 Jessica doesn't recommend eating the dip that comes in the veggie snack, so use sparingly if you must. Another dip-able snack, made heartier by a package of baby carrots. 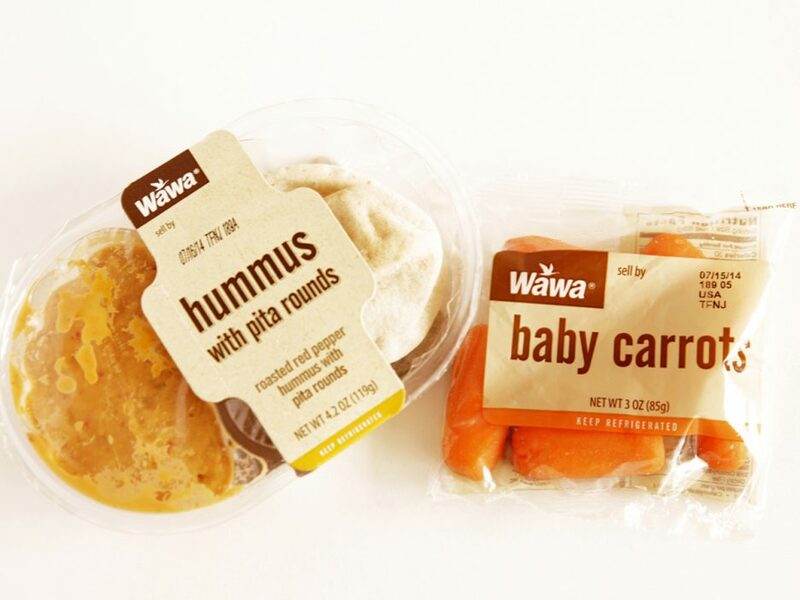 There's plenty of hummus in there for the pita and carrots. If all you need is some liquid, reach for one of these in the cold case. The mineral water and coconut water are self explanatory (right? 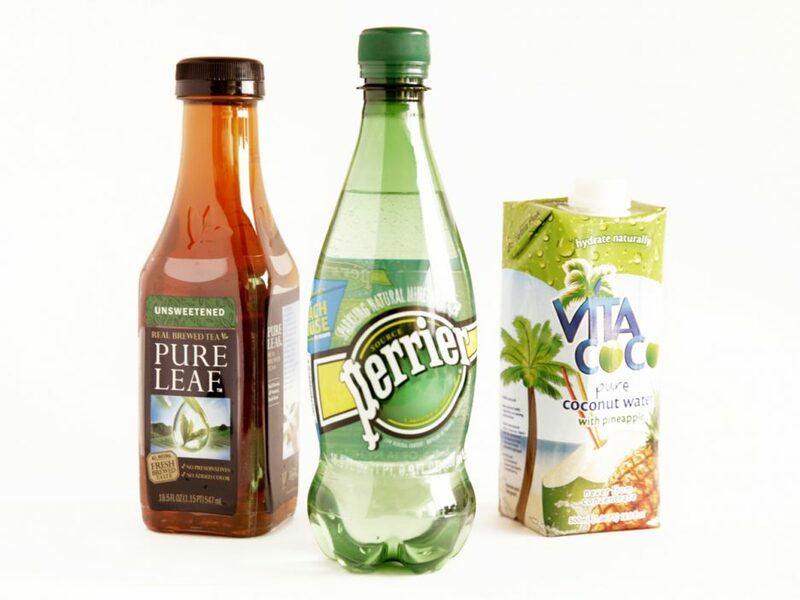 ), but if you need some caffeine, pass on Wawa's teas and get unsweetened Pure Leaf. It contains natural ingredients (again, note the short ingredients list), no corn syrup and no preservatives.